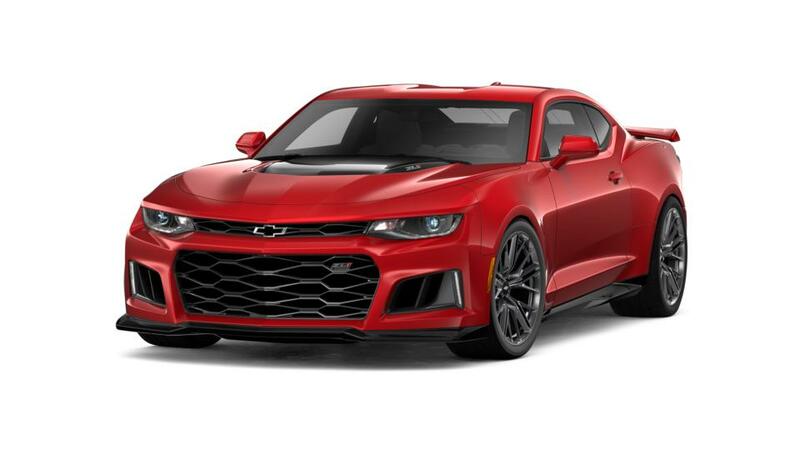 Catch the new Chevrolet Camaro at Chevrolet Buick GMC of Helena, near Great Falls and Townsend. The Chevrolet Camaro is a reasonably-priced sports car that is exciting to drive. It offers a range of different colors, trims, and custom options, including the choice between convertible and coupe body styles. The Camaro has been outfitting American sports car aficionados with unparalleled performance and design for more than 50 years. It can accelerate from 0 to 60 in four seconds and comes standard with 275 horsepower, creating a thrilling ride. See above for additional details, or contact us at (866) 847-1478 to learn more about buying or leasing a new Chevrolet Camaro in Helena.